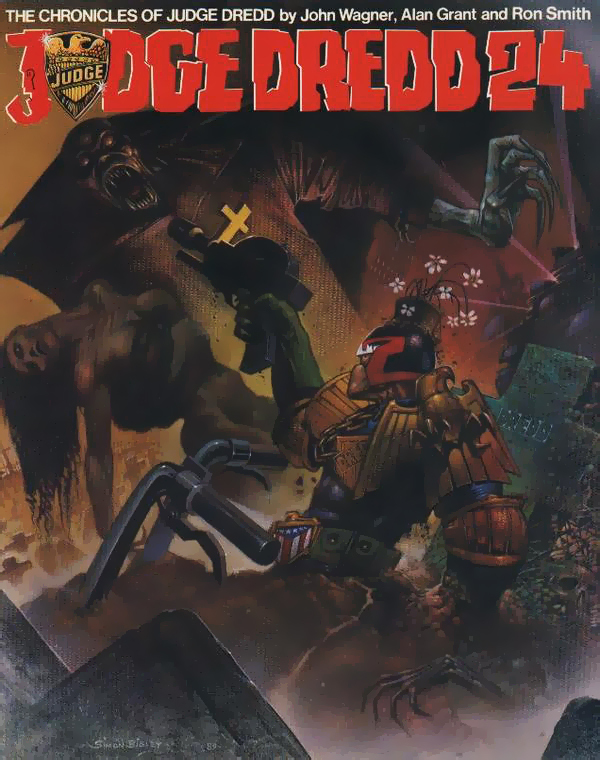 The Chronicles of Judge Dredd (Titan Books) | 'TAIN'T THE MEAT… IT'S THE HUMANITY! 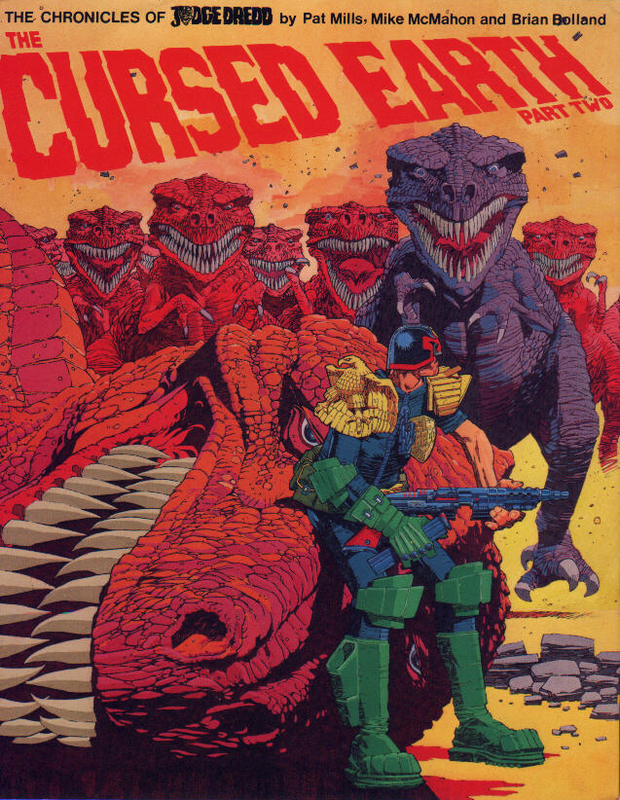 At that time reprints from 2000AD, or any other British comic for that matter, were extremely rare and were mainly utilised as content padding for summer specials or Annuals (hardback editions published as Christmas stocking fillers). I remember buying the first volume of ‘Chronicles’ and being impressed not only with the high quality of the paper but with the amazing covers. 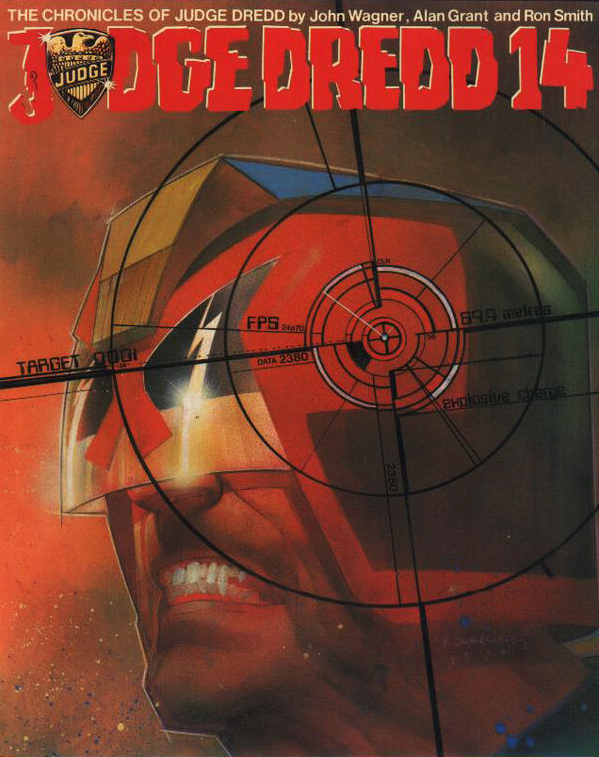 After several years of reading 2000AD, which at that time was printed on newsprint (with the colour restrictions that process imposed), it was a revelation to see the comics artwork reproduced in full 4-colour on high quality card stock. I was also greatly impressed with the quality of the cover artwork itself. 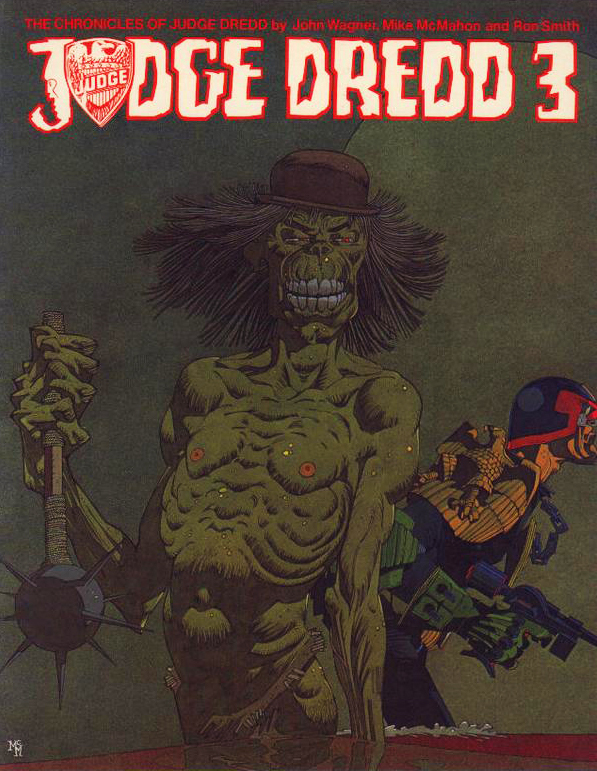 Brian Bolland and Mike McMahon, both cornerstones of the early Dredd stories, contributed covers to the series along with Brendan McCarthy, Steve Dillon, Steve Bisley and Bill Sienkiewicz. 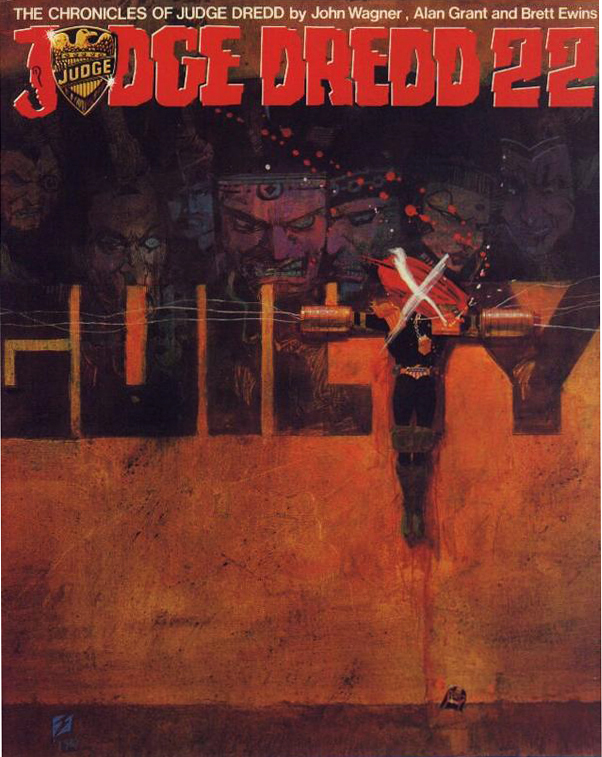 The American Sienkiewicz was an interesting and unusual choice as he was better known for his Marvel comics artwork and to my knowledge his Dredd covers were the first he had done for a British publisher. 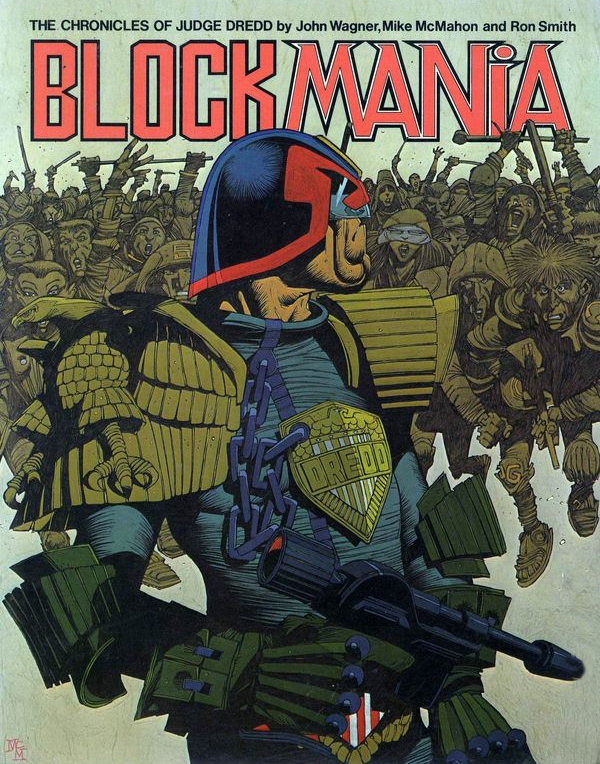 The first edition was a hit and was followed by another 41 volumes, including all the great early Dredd epics: The Cursed Earth; Judge Caligula; The Judge Child Quest; The Apocalypse War and others. I’m happy to say I own nearly all of the volumes and will no doubt eventually track down the few remaining editions I don’t own. The success of the ‘Chronicles’ series led to a wave of other classic British comic strip reprints, not only from 2000AD but from national newspapers too: Modesty Blaise, Garth and the Jeff Hawke strips all received the reprint treatment. 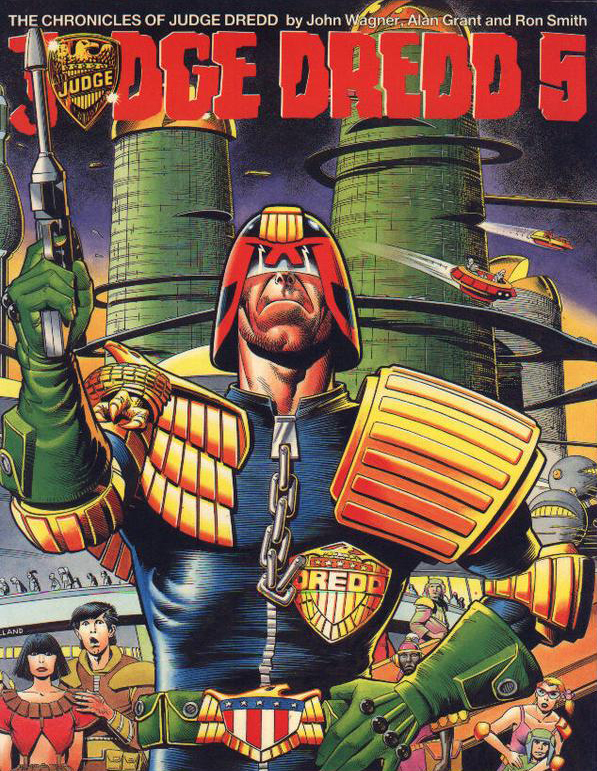 Since the eighties Dredd reprints have multiplied in number and are now common place. 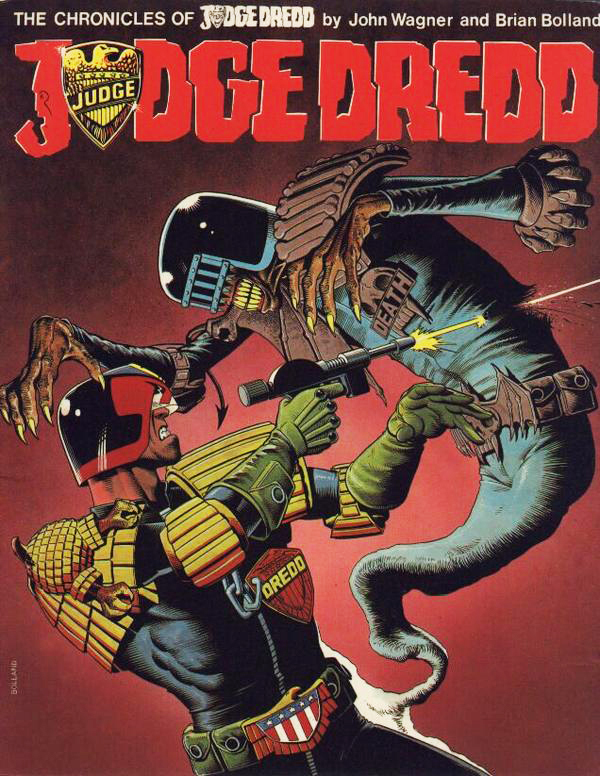 The current publisher of 2000AD and Judge Dredd magazine, Rebellion, are reprinting all of the Dredd stories in chronological order. I have these collections too but I must admit that those early editions hold a special place in my heart.